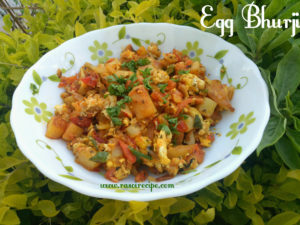 Today’s recipe is ‘Egg Bhurji’. 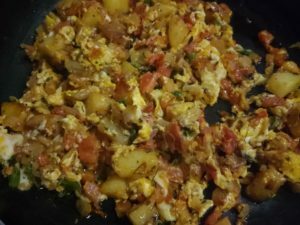 It is my favorite dish of this trio of egg, tomato, and potato. 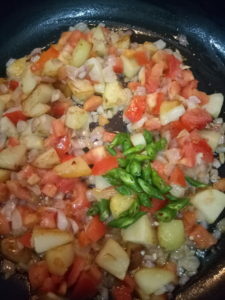 Enjoy this bhurji in your lunch or dinner. 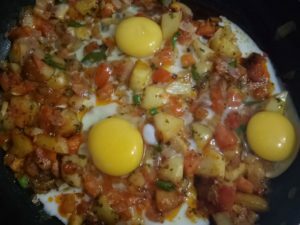 If you have heavy breakfast in the morning, paratha sabzi type, then do try this one also. You can also pack this bhurji in your kid’s lunch box. 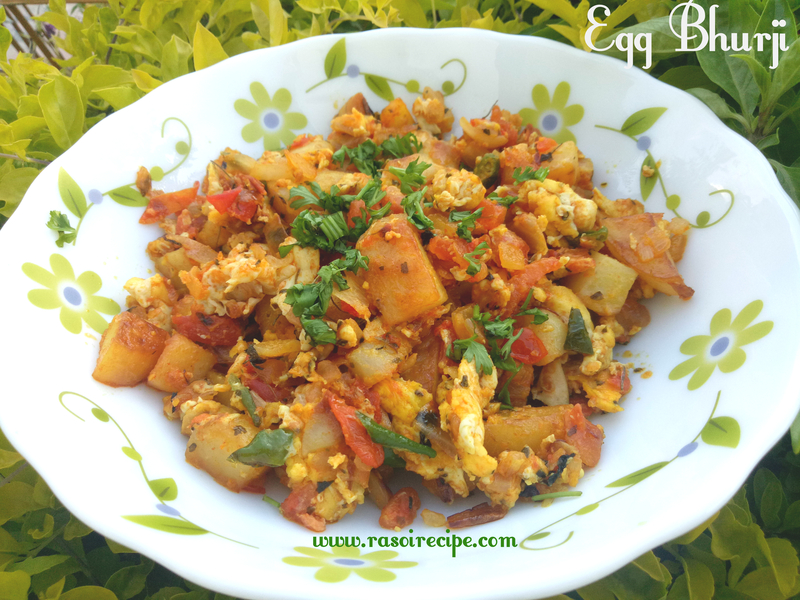 Serve this egg bhurji along with paratha/chapati as a side dish. 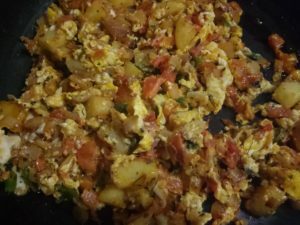 For this recipe, you will need eggs, potatoes, tomatoes, green chillies, kasuri methi and few spices. 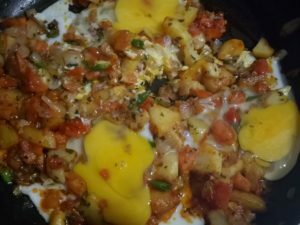 For more egg recipes, check – Chicken Omelette Recipe (Fluffy Stuffed omelette) , Easy Egg Mayo Bun | How to make egg mayo bun , French Toast (Spanish toast / Eggy bread) , Aloo Egg Pattice (potato egg pattice) , Jhatpat Egg Masala (masala egg recipe) . 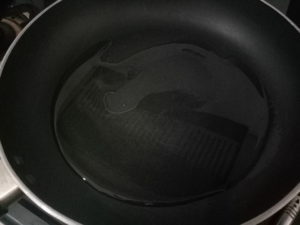 Heat oil in a deep pan. 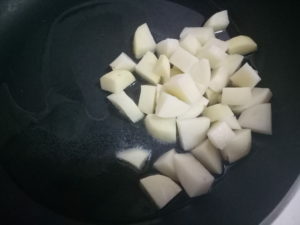 Fry potato cubes till tender and fried well. 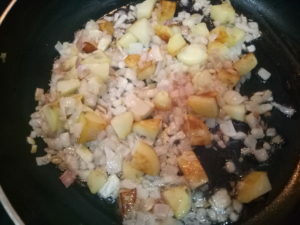 When potatoes are tender, add chopped onion. 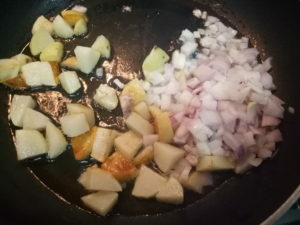 Cook till onions are translucent. 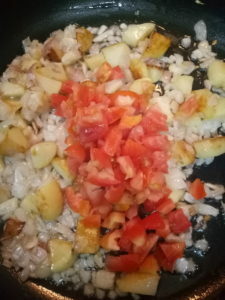 Add chopped tomato and green chilies. 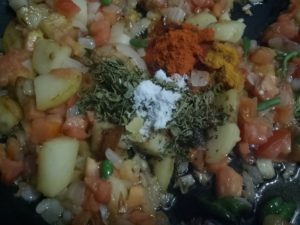 When tomatoes are cooked well, add all the spices and kasuri methi. Mix well. After 2-3 mins, mix everything well carefully, we want to keep egg pieces little bigger than normal bhurji. Cook till oil starts oozing out from the bhurji. Garnish bhurji with chopped coriander leaves. Serve hot! It looks like such a quick and easy dish to put together. And yummy too!